I have a lengthy series of Things I Hate. Last count, there were 19 parts to the series, which means I’ve written about 190 things that I hate without mentioning things that make me happy. There is one post on this blog from three years ago, Little Things, where I discuss things that make me happy, but it’s hardly enough to counterbalance all the hate. So, in an ill-fated effort to bring more happiness into the world, here is a list of things that don’t make me hate. 1. I like getting packages in the mail. It doesn’t matter if I know what’s in it or not. It doesn’t even matter what’s in it actually. Just the sheer fact that there is something in the mail that I get to open that is not a bill is awesome. It’s like Christmas morning without all the wrapping paper and surprise. 2. I like waking up thinking I’m late for work and realizing it’s Saturday. That moment when I realize that I can go right back to sleep is the best. Even if I can’t actually fall back to sleep, just knowing that I could lay there for a while if I wanted to is nice. 3. I like singing along, loudly and badly, to songs in my car, especially late at night with the sunroof open and the stars poking through laughing at me and my horrible singing voice. 4. I like saying “thank you” as a non sequitur to compliments intended for someone else who is not present. For example, you go see a movie with a friend. Afterwards, your friend says, “That movie was amazing!” and you reply, “Thank you!” Your friend will stop whatever they are doing and look at you perplexed. “Why would she say thank you to something she clearly had nothing to do with? Did she not hear what I said correctly? Did she somehow have something to do with making that movie?” These are all things that will pass through your friend’s mind while you chuckle to yourself. I can guarantee you that it will completely shut somebody up since no one has ever given me a good come back to that. 5. I like bugging my animals when they’re trying to sleep. The cat makes it easy. Most of the time, he starts purring and rolls over for me to rub his belly. On the other hand, the dog will growl at me when she’s really tired. It’s not a real growl. It’s more of an exasperated grumble. I enjoy the hell out of that leave-me-alone growl. Perhaps it’s small payback for all the times she’s awakened me. 6. I like surfing Wikipedia. When I was a kid, I used to surf our encyclopedia set. I’d open a volume randomly and read. Wikipedia is much the same. I guess I haven’t grown out of it. I could (and have) spend hours just jumping from one topic to another on there, discovering things I never knew existed. I like how almost everything has a page. Knowing about the Kola Superdeep Borehole or the Eargesplitten Loudenboomer might not ever be useful information, but it sure is interesting. 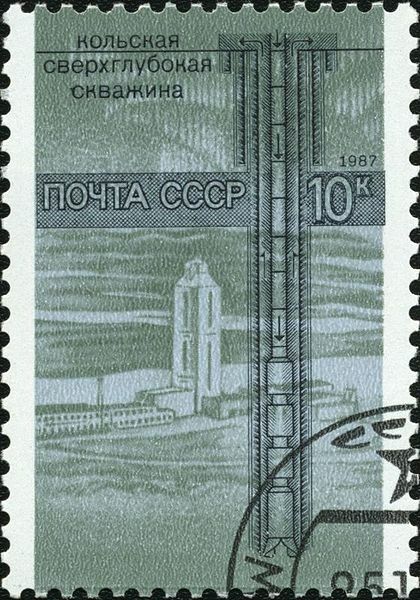 Kola even has its own stamp. 7. I like things that remind me of the good parts of my childhood. The smell of glue sticks, cutting construction paper, peanut butter and jelly sandwiches, crayons, Lego’s, a movie I haven’t seen in forever, apple juice, old commercials on YouTube, a song on the radio that I used to like, candy in a store that used to be my favorite. Most of all, I like that these things are still around. 8. I like house shopping even though there’s no way I could afford a house. Whenever I drive through a neighborhood, I pick out the house I would want and what I would do with it if it was mine. I would add a fence here, some flowers there, paint the shutters blue and redo my imaginary walkway out of paving brick. 9. I like unexpectedly pleasant smells. 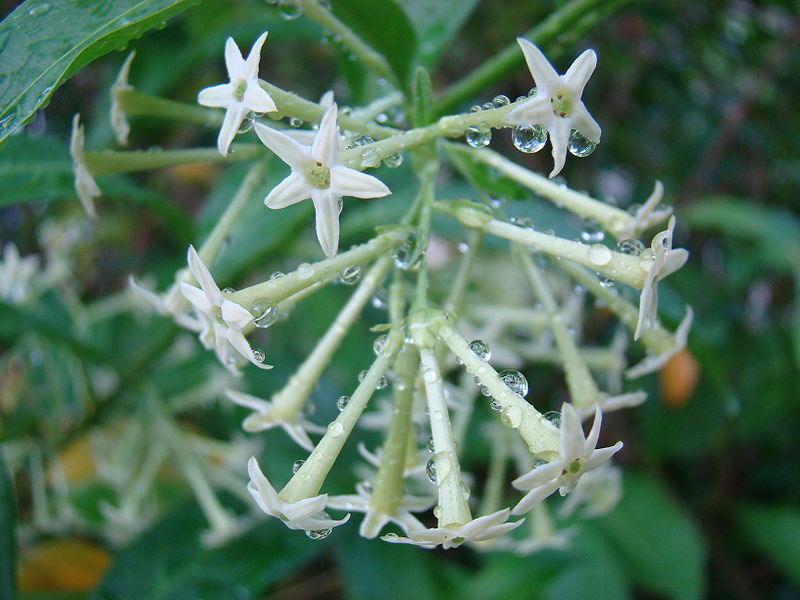 You’re walking down a street, and all of a sudden, the scent of Night Blooming Jasmine hits you. You walk past a bakery and smell fresh bread. That clean, earthy smell after it rains, roasted garlic, freshly baked pie, Christmas trees, fire in a fireplace, bacon, that crisp tang of fall in the air this time of year. Mmmmm. Sometimes, I wish the internet had smells because Jasmine smells divine. 10. I like how everyone seems just a bit nicer this time of year, now that the crowd-crushing Black Friday deathtrap is past us. People hold doors for each other, say “excuse me” a bit more often and wish each other nice days and merry Christmases. Granted, it doesn’t last and not everyone gets into the spirit, but just a bit more common courtesy is nice. Posted in lists, things I like and tagged things I like. Bookmark the permalink. I don’t hate useless information either. I like poking around and learning random facts that only come in handy to shark a trivia game and win against all the smarty-pants. Aw, thanks! Tis the season I guess. Wikipedia is a huge time sink. It’s a lot easier to browse than the old school encyclopedias, too. Def. with you on 7, 8 and 9. 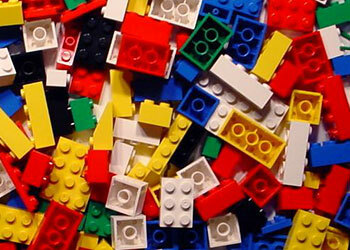 Every year — and I am in my 50s — I have to dissuade myself from buying a huge box of Legos. One day i am simply going to do it.